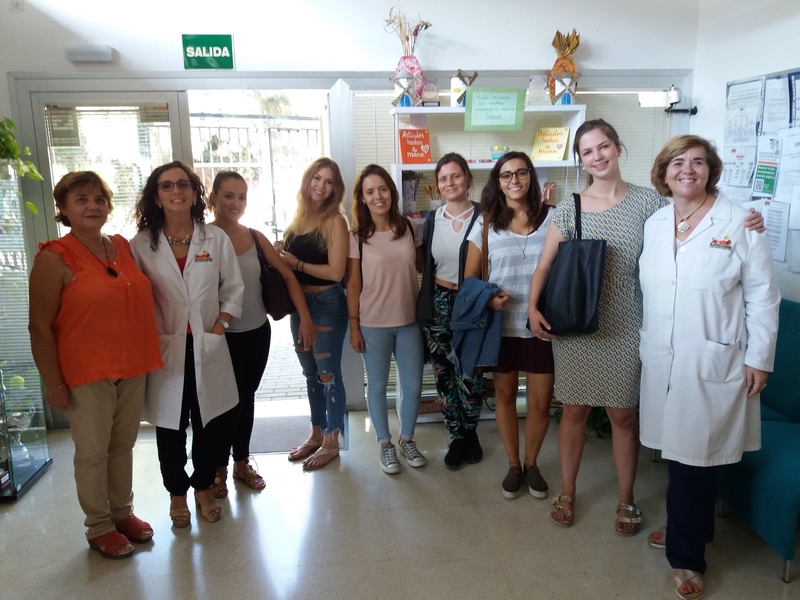 The international students of the EC+ project visit AMIRAX in the context of the intensive training taking place now in the University of Malaga. Thanks to AMIRAX for this opportunity! 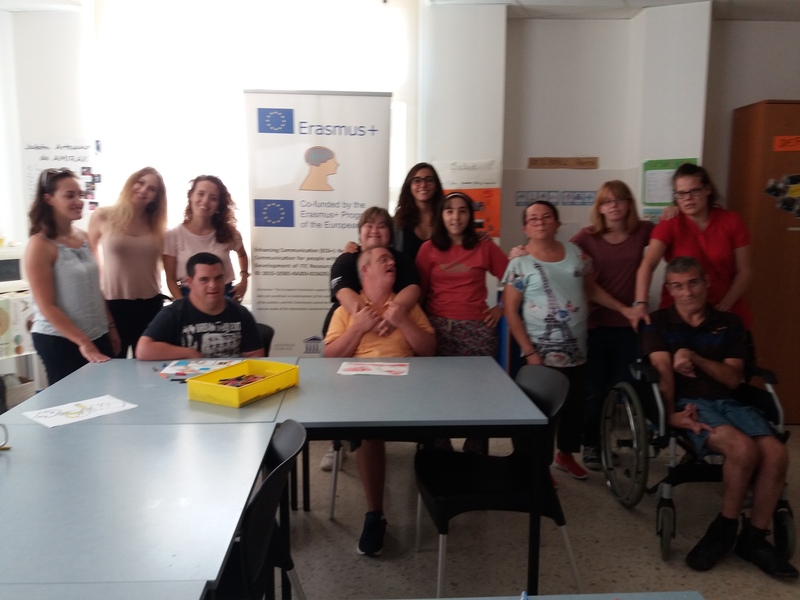 San Vicente de Paul, day care center, welcomed EC+ students (from UMA and mobility activities) and stand engaged in several workshops on September 29th. Thank you so much! On September 27th, in the intensive program for higher education learners of the EC+ project, a seminar for interpreting students was conducted by professional interpreters in healthcare. The intensive training course started on September 25th, 2017 in the University of Malaga. 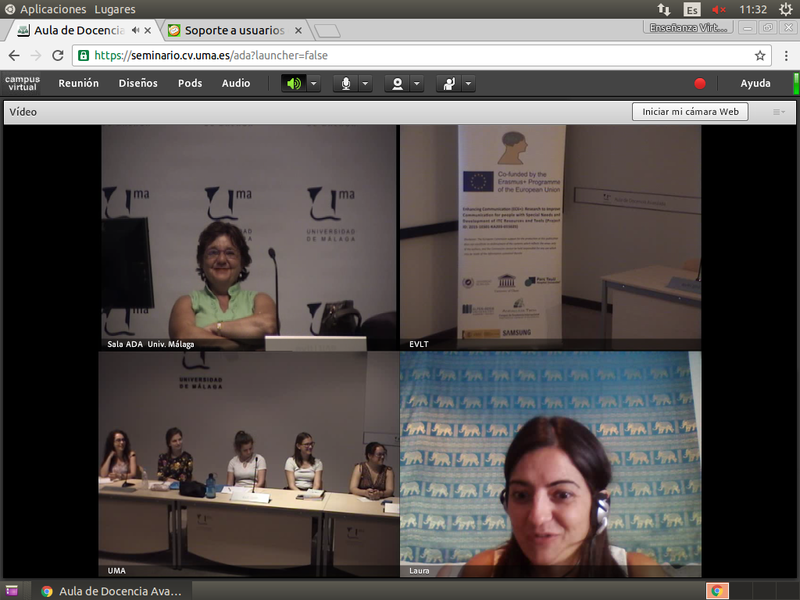 Students from the partners university in Europe are working together with the local students in the topics of the EC+ project. More than 200 students participate in this EC+ training course. 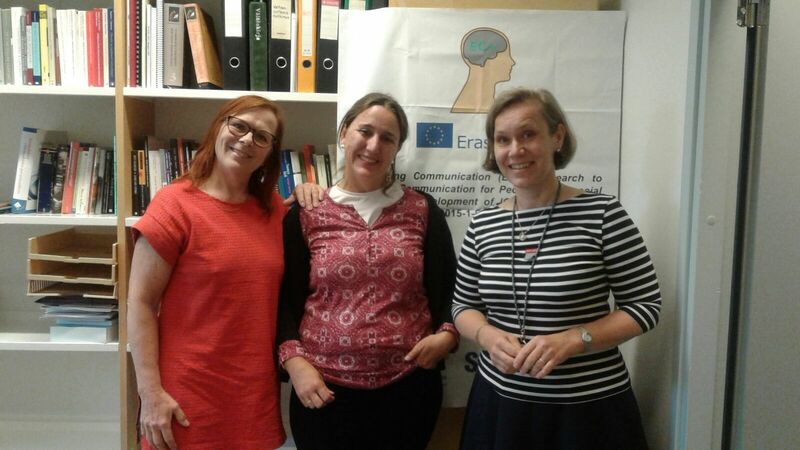 Marina Calleja presented the EC+ project in the Speech Therapy Department of the University of Helsinki and actions were discussed to push future collaborations.